Fans of the world’s biggest surfing events will be stopping by Facebook to stream all the live coverage they want. 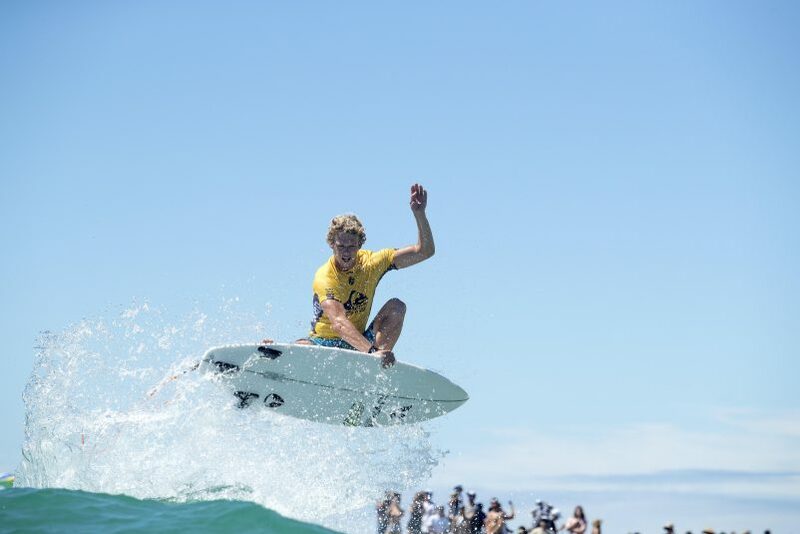 On Jan. 24, the World Surf League (WSL) announced a deal with Facebook that makes the social network its exclusive live-streaming home for the next two years. The league’s season starts in March with the Championship Tour, and, shortly after that, all its events will stream live on its Facebook page. Although neither side is discussing the financial terms of the deal, it looks to be a solid win for both. The WSL gets an easy live-streaming outlet, while retaining broadcast rights and the right to host on-demand videos on its own platform. Facebook gains a young and affluent global audience (only 20%-25% of the WSL’s viewers are in the U.S.). Plus, viewers tend to watch for a long time: the average WSL event comprises four competition days streaming eight hours per day, and fans watch for several hours per session. The WSL and Facebook have worked together before but never in an exclusive arrangement. Last year, Facebook simulcast all of the league’s Championship Tour and Big Wave Tour events. Nearly 14 million people from around the globe viewed those streams, convincing the WSL that this was a solid way to go. Facebook wasn’t the only suitor trying for the WSL’s audience, but it pitched the most attractive offer. The WSL considered creating its own paid platform but liked that there won’t be a barrier to entry with Facebook. Reactions throughout the surfing community — from fans, surfers, and corporate partners — have been strongly positive, Carr says. Although some aren’t thrilled at needing a Facebook logon, he points out, it’s a smaller hassle than a monthly pay-TV or OTT subscription. The WSL will keep live-streaming events on its own, a complex operation using a dozen or more cameras. The setup might include eight action cameras, with one in the water, a drone overheard, and one just for slo-mo footage. It also includes three on-set cameras, one roving camera, and between three and five point-of-view cameras capturing establishing shots, locker rooms, and local color. The league captures and produces the events, then distributes 1920×1080 HD streams. It retains a copy to post on its on-demand platform when the event is finished. The WSL and Facebook are aware that much of their viewing comes from mobile viewers, so the Facebook mobile app will show vertical videos of the live events. The WSL is deciding now what kinds of on-screen callouts and interactive features to include with the Facebook stream to make the event more engaging. Besides getting die-hard viewers, the Facebook stream is expected to attract plenty of newcomers, and the WSL wants to make sure they’re able to follow the competitions. Fans will see different streams depending on where they’re located. The WSL will create geo-targeted streams featuring different branded and targeted elements within each, so it will actually deliver multiple live feeds to Facebook. The WSL is also creating multiple audio tracks per event, so viewers can switch among English, Spanish, and Portuguese (the league has a lot of fans in Brazil). The WSL will monetize events with branded content and onsite sponsorships. It can’t run commercials in a Facebook live stream but will mix in organic brand-supported content.